Don Knott and Gary Linn possess among the most proven track records in the industry today. Their golf course portfolio includes world class golf courses in every region of the United States and in six continents around the world. 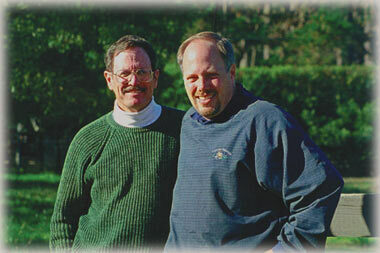 Don Knott and Gary Linn have over 65 years of collective experience working together while designing more than 100 golf courses. These experiences have included designing courses in virtually every type of climate and terrain imaginable from dessert to tropics, mountains to marshes and everything in-between. Both designers are long standing members of the American Society of Golf Course Architects, with Don serving as president of the Society in 1994 and 1995. In addition, both Don and Gary are licensed Landscape Architects with extensive experience in all facets of landscape architecture including specific site planning and overall project master planning. Their pedigree as world class designers evolved from more than two decades of service each as lead project architects for the Robert Trent Jones II Group. Several of their designs have been honored for their quality and creativity, including recognition for Best New and among the top 100 courses in the United States. In addition, five of their course designs are ranked number one in their respective countries by Golf Digest. Knott & Linn Golf Design Group provides a broad array of golf design services from initial site feasibility studies, master planning, full service golf course design, site construction review and assistance in the hiring of shaping specialists, construction supervisors and golf course superintendents. Each course is unique in its own character and personality derived from the sites natural features. Where natural features do not exist, Knott & Linn have shown an unparalleled ability to create natural appearing landforms for traditional world class golfing experiences. In addition to new course development, Don and Gary have extensive experience in the restoration and renovation of existing golf courses including the development of long range master plans and implementation of specific course improvements. It is the objective of the Knott & Linn team to surpass our client’s expectations both in the finished product and service, and to make the creative experience an enjoyable one for all participants.